The Acer Aspire V3-571G-6407 is a mid-range laptop that is capable of doing reasonably well in running most of the latest video games. Laptops made by Acer are comparatively cheaper than most of the other mainstream brands for the same amount of horsepower packed under the hood. 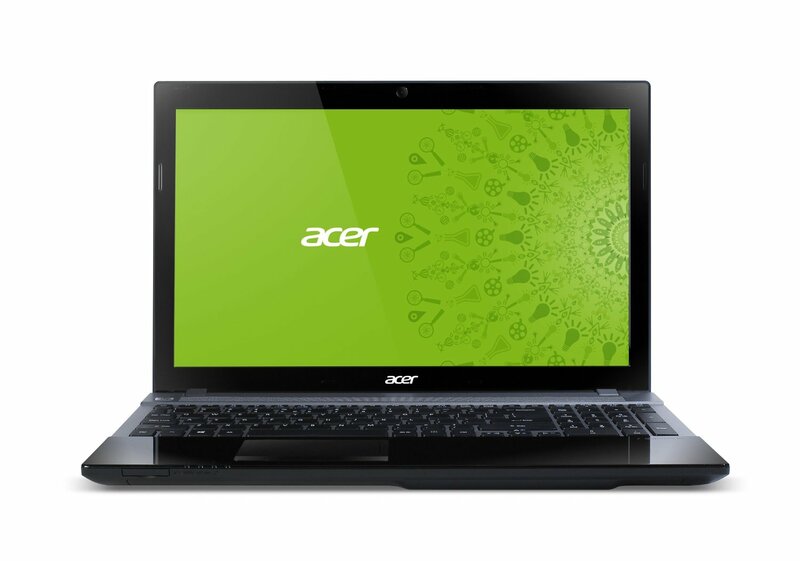 With the Acer Aspire V3-571G-6407 you can get the specifications listed below for a price of $549.99 on Amazon: Check it out. A registered copy of Windows 8, the latest operating system by Microsoft. With the above-mentioned price tag, you really cannot ask for more than the stuff listed. With the 3rd Generation Core i5 CPU, you can run multiple programs at once, thanks to the power packed in the latest generation of Intel’s microprocessors. The main memory of 4 GB is more than enough for multitasking and this amount of main memory can really come in handy if you are accustomed to running heavy computer programs like Adobe Photoshop or After Effects. Not to mention, this amount of RAM is more than capable of running some of the latest computer games. If you are looking for a cheap gaming PC, the Acer Aspire V3-571G-6407 is one device you should definitely take a look at. As you probably know, good gaming graphics require a good graphics card. With the NVIDIA GeForce GT 630M and a dedicated memory of 1 GB you can expect the highest possible frame rate on the highest video settings with games like FIFA 12, FIFA 13. However, the games that require more horsepower, like The Elder Scrolls V Skyrim, Mass Effect 3, or Battlefield 3 will run smoothly on medium or low settings. This is a cheap gaming PC and not an Alienware, so it would be unrealistic to expect the Acer Aspire V3-571G-6407 to run the latest games on the highest settings. If you are looking for the best laptop 2013 under 500 dollars, then the Acer Aspire V3-571G-6407 certainly comes close as it is available for $549.99 on Amazon. . Remember that this is probably the best combination of price and specifications that you can get on the market. If you want good specifications then you can always point your browser to Alienware.com and order then best available laptop for $2000. But if you have a limited budget and want to get a cheap gaming PC, then this is probably the best deal you are likely to get. The company advertises a battery life of four and a half hour, which is certainly an improvement over the previous editions of Acer’s Aspire series. One of the downsides of this laptop, and it’s not that much of a deal breaker either, is that the hard disk is just 500 GB. By today’s standards, this cannot be deemed sufficient by most users. However, the good news is that this can be expanded by using an external USB hard disk. Also the spinning speed of the hard disk of 5400 rpm is also not up to scratch with the latest standards. This speed only comes into play while moving and transferring files of large sizes. The resolution of 1366 x 768 is quite standard with today’s 15.6 inch displays although full HD 1080p displays are slowly becoming more common. All in all, this is a great laptop and can fit in with all users with all types of interests from gaming to working with graphics.